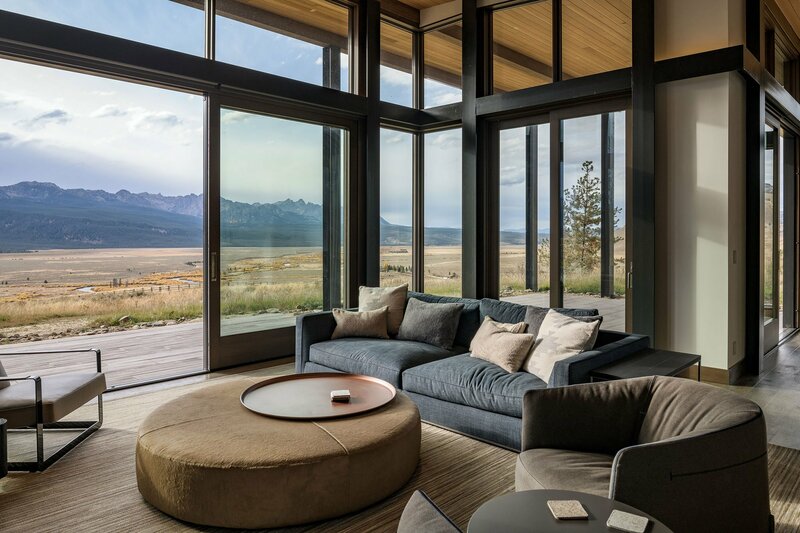 A dark wood house that overlooks the Rockies in a breathtaking landscape in Idaho. 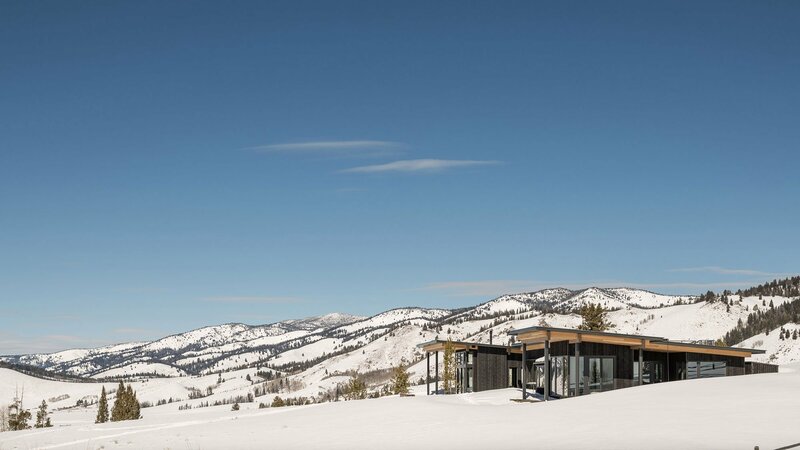 Built in a remote rural location, a short distance away from the town of Stanley in Idaho, this black house offers a tranquil living space in the middle of a spectacular landscape. 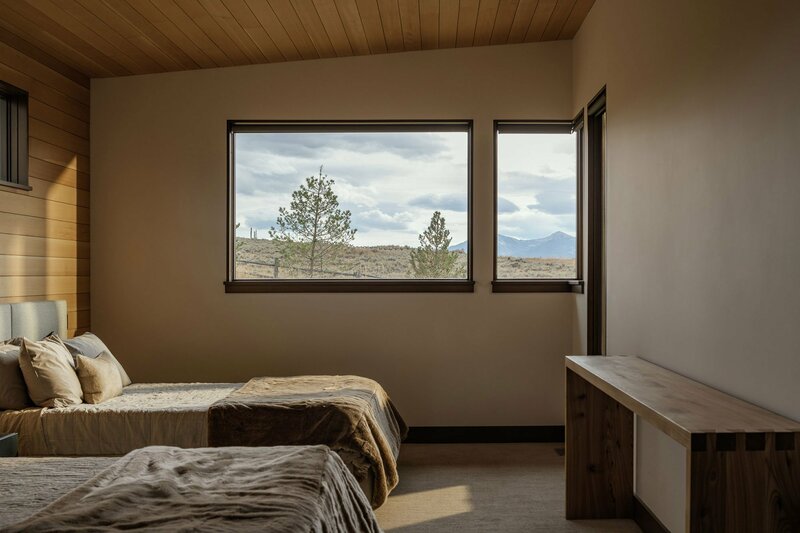 The Michael Doty Associates architecture firm nestled the Shaw Mesa Residence into the setting with a thoughtful design. Apart from the minimalist aesthetic and dark cladding, the house also features retaining walls built with stones left over from the excavation stage. The architects used local materials where possible to both minimize transportation times and to anchor the dwelling into its context. The team also preserved native vegetation and grass to soften the transition from the sagebrush and the hillside towards the new building. 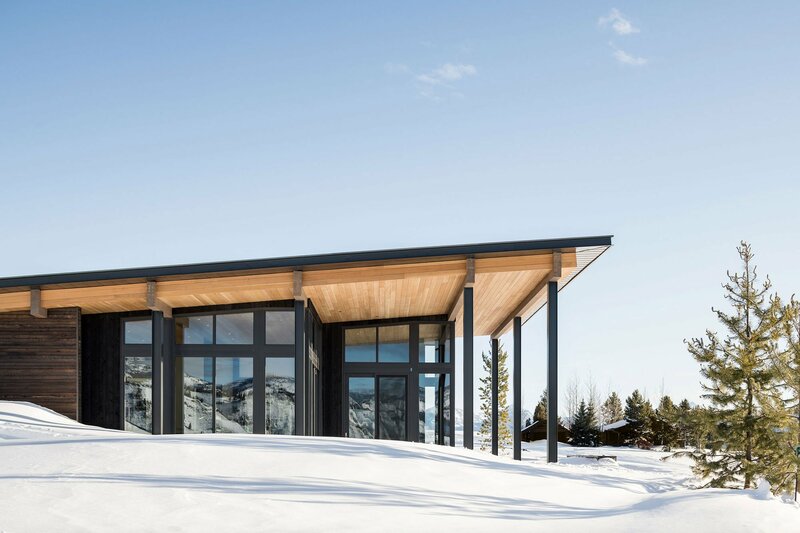 Due to the sloped location, the house features a slightly angled roof which creates a protective overhang. 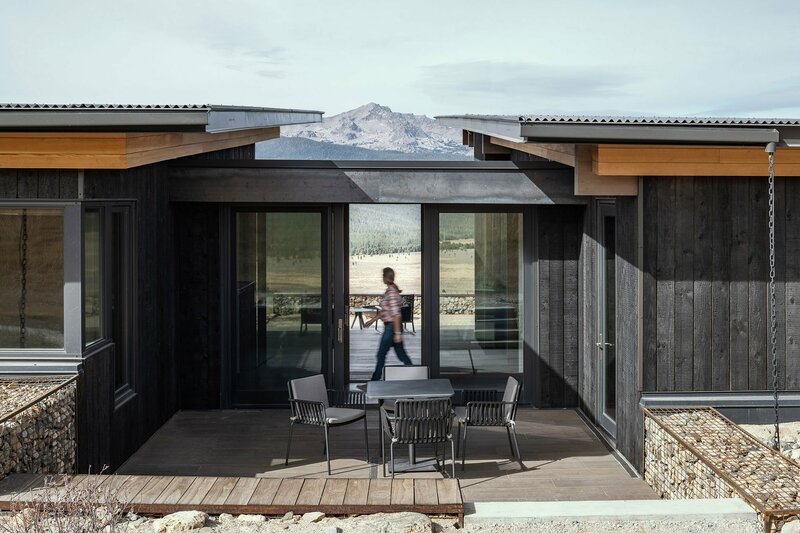 Completed using the Japanese Shou Sugi Ban technique, the charred wood cladding is both resistant to the elements and to fire. To keep the dark exterior of the house intact, the studio installed a black roof made of corrugated metal. Light wood on the underside of the roof adds a touch of contrast to the structure. Divided into separate units, the living spaces occupy different spaces spread across three volumes. 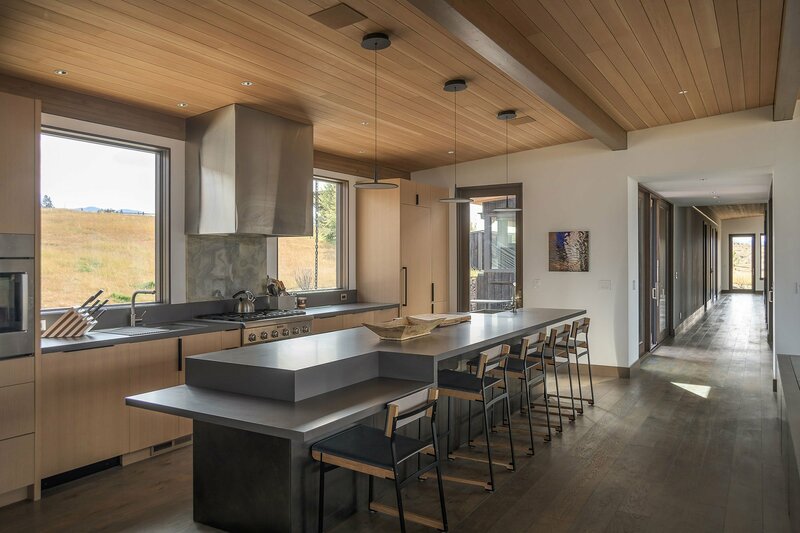 While one volume houses the kitchen, lounge, and dining room, the second contains the four bedrooms. The garage takes up the smaller third volume. 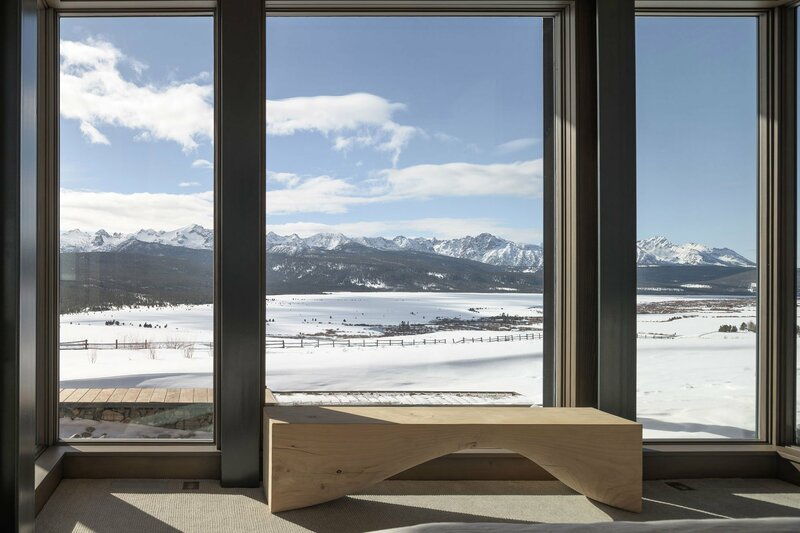 A glass volume at the center connects the day and night areas. 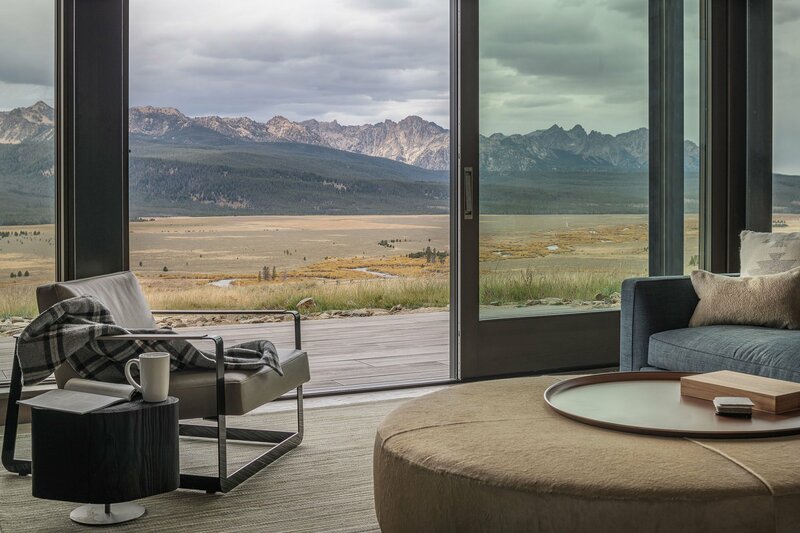 All of the living spaces feature large windows that overlook the natural landscape as well as the Rockies in the distance. At the same time, the rooms have an enclosed design for complete privacy. Every bedroom has its own bathroom, while the master bedroom also has access to a private patio. Sliding doors open the interior to outdoor lounge areas, including to a back deck with a fire pit. A staircase leads to the roof, where the clients can stargaze or sleep under the Milky Way. Photographs© Gabe Border and Kevin Syms.